The Everlast Services team is the master of motorised gate construction. All of our gates are made with love and fabricated at our Hoppers Crossing fabrication plant, and perform a number of functions. They can be a stylish and impressive entry point to your home, or they can function as a safe and secure entryway to your garden or your outdoor area. We can provide single, double, sliding and swinging motorised gates and if you’re after a steel gate you can completely customise it because we make them ourselves. It doesn’t matter what you’re after, our team will be able to turn your vision into a swinging, sliding reality that will provide you and your home with years of use and enjoyment. 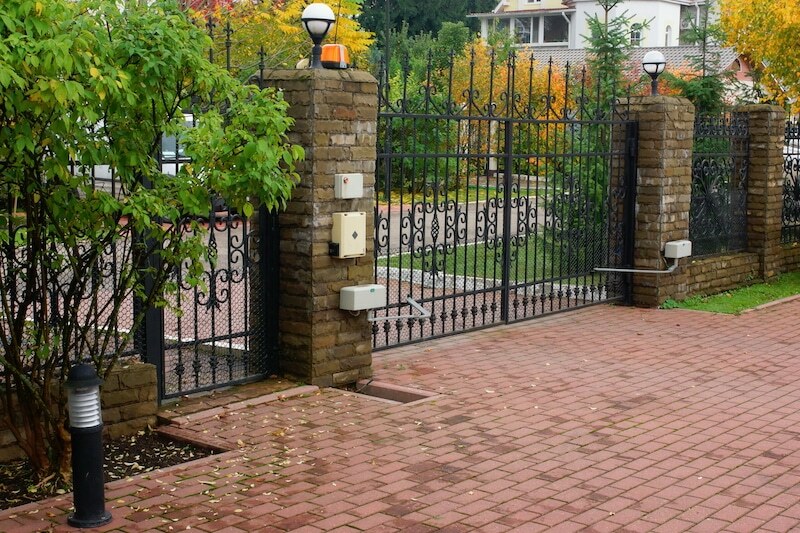 Why Choose Everlast Services For Your Motorised Gates Needs? We manufacture your gate in house at our very own plant. This gives us complete control over the quality of your gate and it also allows us to cut out the middleman, cut costs and pass huge savings on to you. Our fabrication plant also helps us to satisfy our desire to give back to the local economy and provide as many jobs as we can. We want to make sure our quality services and products are available to everyone and that’s why we do everything we can to pass on affordable quotes. We achieve this by developing relationships with suppliers to source anything we can’t make ourselves and passing every cent we save straight on to you. After 20 years we know how to work with your space and your wants. It doesn’t matter how weird or wonderful your idea is we have the skill and the vision to make it happen. There isn’t a slope we haven’t worked with or a shape we haven’t fabricated! On top of our gate services, we can also provide you with fencing, decking, concreting, and landscaping services that make us the one-stop shop for all of your home beautification and improvement needs.